School nurses are registered nurses (RNs) responsible for treating students that become ill or sustain injuries during the school day. They are employed at all levels of education from elementary to college. School nurses can take vital signs, administer medications or first aid, record symptoms, and coordinate referrals to a healthcare provider. They treat staff members, perform health screenings, and oversee school health policies and programs. According to the National Association of School Nurses (NASN), they also frequently take on additional roles as needed to meet the healthcare demands of the school community. 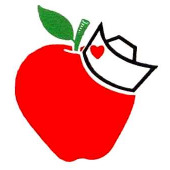 School nurses, and registered nurses more broadly, earn a median annual salary of $66,000. High-performing nurses can earn more than $80,000 per year. Employment growth is very promising. The Bureau of Labor Statistics expects RN employment to grow 19 percent over the next decade, which is faster than the average for all occupations. An aspiring school nurse must first earn licensure as a registered nurse. RNs can pursue one of four pathways to licensure: hospital diploma, associate’s degree in nursing (ADN), bachelor of science in nursing (BSN), or direct-entry master of science in nursing (MSN). The associate’s and bachelor’s degree pathways are most common. An ADN program is offered at well over 1,000 community colleges, technical schools, and career schools in the United States. Four-year BSN programs are available at approximately 800 colleges and universities nationwide. Graduates of any pathway must pass the National Council Licensure Examination for Registered Nurses (NCLEX-RN) before they may legally practice. The journey from student to certified school nurse begins with a high-quality registered nursing program. Browse our directory to find the best ADN and BSN programs in your local area.